Back with another exciting update from The JUNO Awards! 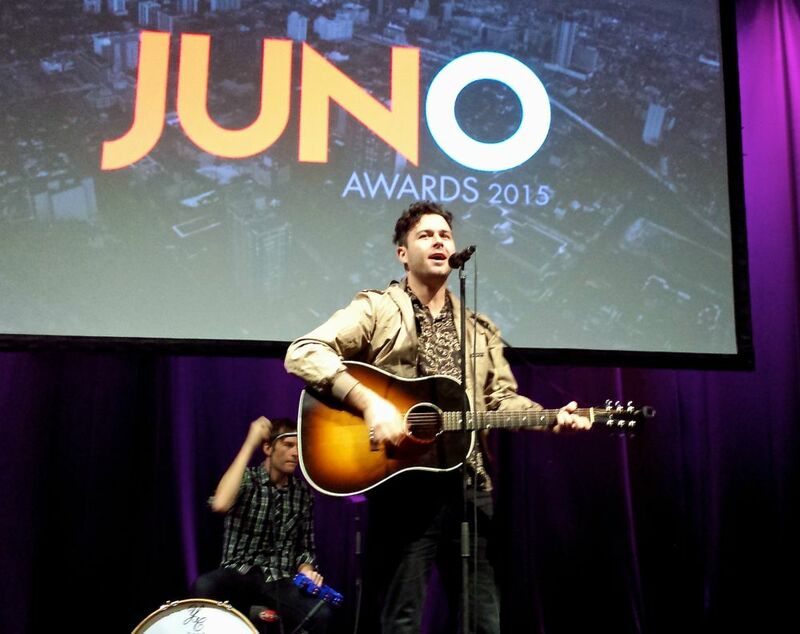 Of course you know by now, the JUNOs will be here in Hamilton on March 15th. JUNO Week will be here before we know it, so the anticipation was high to hear the nominations. The official press conference took place yesterday morning at The Danforth in Toronto. I knew I would be part of the Hamilton contingent that was travelling to the event, but was not expecting such a sweet ride! Joining in with representatives from Sonic Unyon, Tourism Hamilton, Hidden Pony, and more, we boarded a huge limo-style bus, complete with TV screens and stereo system. There was even a spot for bottle service, had this been a different kind of party (but hey, it was only 9AM). We called it the party bus. Touching down at The Danforth, I was really pleased to see this venue because I’ve heard such great things and would love to catch a show there sometime. People poured through the lobby and into the room which was full of music industry folk and musicians. It was an overwhelming sight at first, with lasers spelling out #JUNOS across the wall, a red carpet, media and TV crews. Canadian jams bumped through the speakers, courtesy of the DJ onstage. I barrelled right to the front along with Penny Dobson, the JUNOfest Volunteer Coordinator. I always have to get up close the action – that’s what I’m here to do! 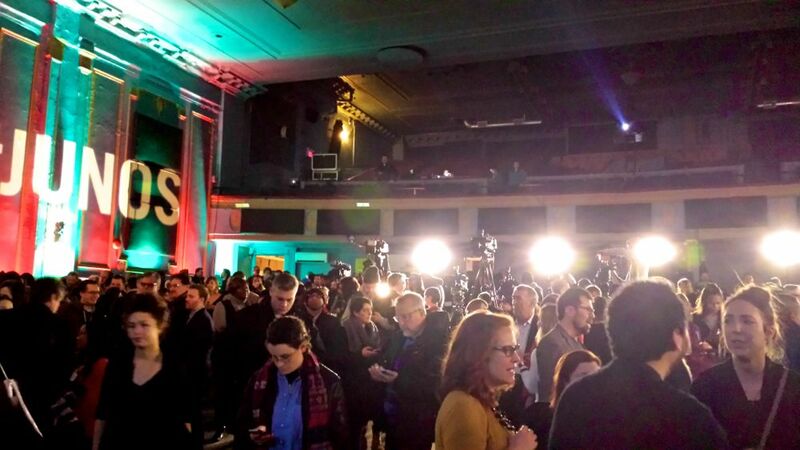 The event began with a quick introductory video dedicated to the JUNOs’ return to Hamilton. President of CARAS, the JUNOs and MusiCounts, Allan Reid, noted that Hamilton is the JUNOs’ most visited city in all of Canada. Seeing the clips of past JUNOs hosted in Hamilton along with incredible shots of the city, it made me feel to proud. The tagline “The JUNO Awards return to Hamilton” displayed at the end. You can watch the video now – I just rewatched and it gave me goosebumps again. Speaking of Hamilton pride, it was fantastic to see Hachey the MouthPEACE perform. He was the first Hamilton friend I saw when we arrived and it was so great to see him. The guy is unreal and it was a thrill to see him have the opportunity to perform in front of a real who’s-who of Canadian media. He killed it! Give him a JUNO, already! To begin the nominations, Whitehorse (Luke Doucet and Melissa McClelland) and Josh Ramsay of Marianas Trench announced the first set of nominees. It was great to see Hamilton’s own Luke and Melissa up there. After that, the majority of the nominations were displayed (at a pretty rapid-fire pace!) up on the screen. For a full rundown, check out the JUNOs website. Hamilton nominees include Arkells (2), Jeremy Fisher, Steve Strongman, Blackie and the Rodeo Kings, Elliot Brood, Caribou, jacksoul, Diana Panton, and Daniel Lanois. After nominations, it was all about the media. 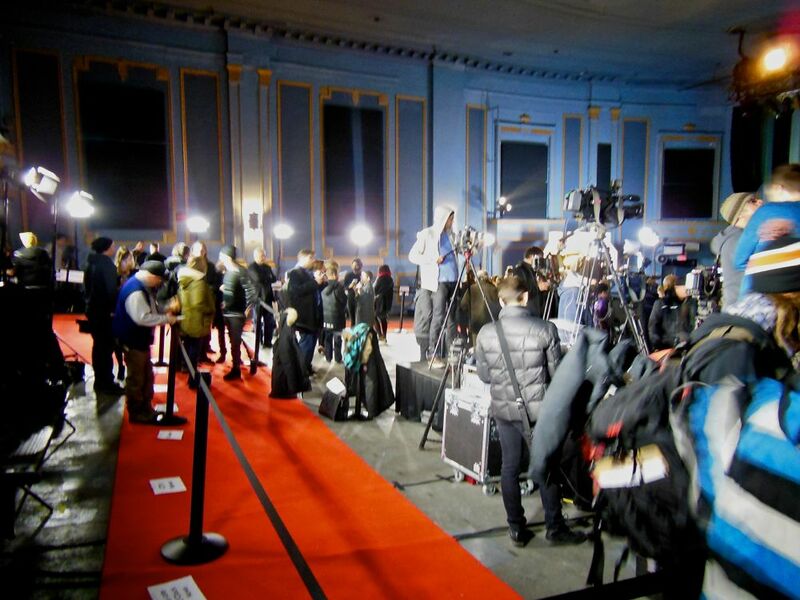 Musicians walked the red carpet, being interviewed by press and also filmed interviews with JUNO TV and Danielle Graham for etalk. We’re now one step closer to the JUNOs. 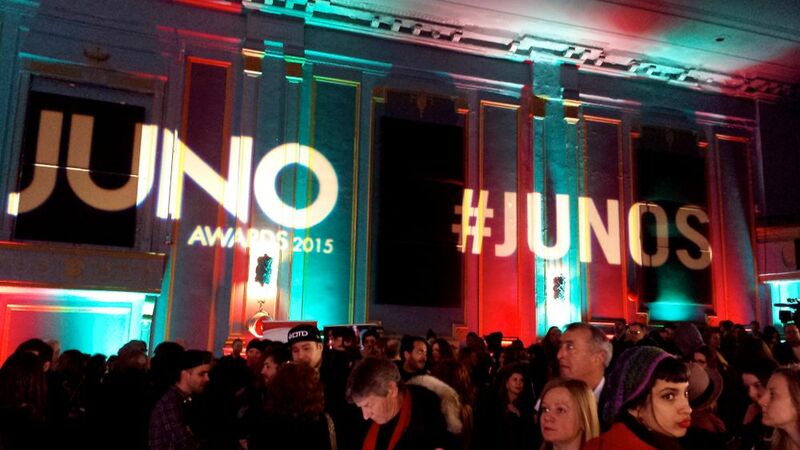 Stay tuned for JUNOfest announcements in February as we gear up for JUNO Week on March 9th-15th. I cannot wait to hear who will be performing!